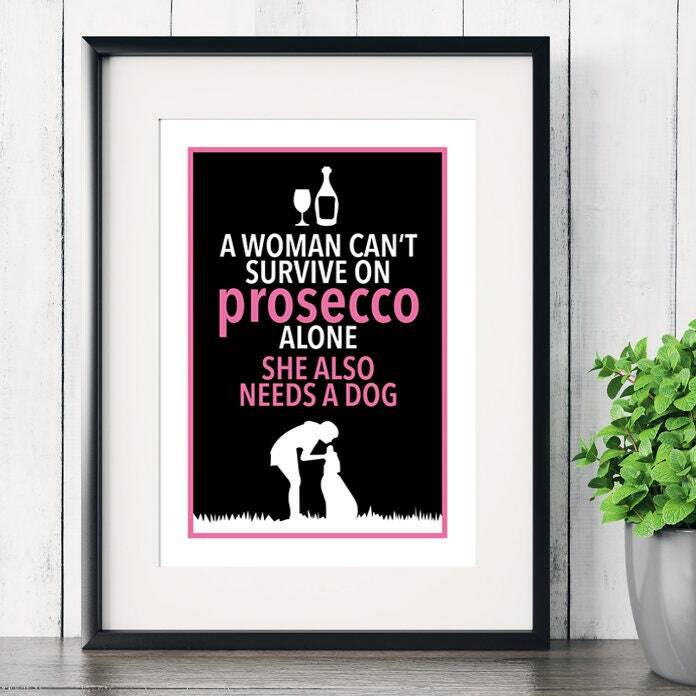 Our A Woman Can’t Survive on Prosecco Alone… She Also Needs a Dog art print makes an ideal gift for dog lovers for birthdays, Mother’s Day, or Christmas, basically, whatever the occasion! Simply add the correct sized frame and hang the dog print on a wall or stand on a shelf where your visitors can see it. Fab print makes me smile when I look at it. Excellent service with prompt delivery.